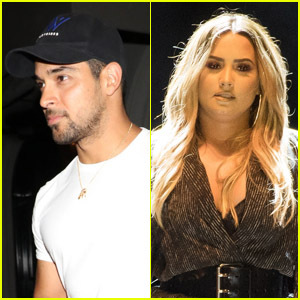 Wilmer Valderrama Photos, News, and Videos | Just Jared Jr.
Wilmer Valderrama is showing his support for ex-girlfriend Demi Lovato. 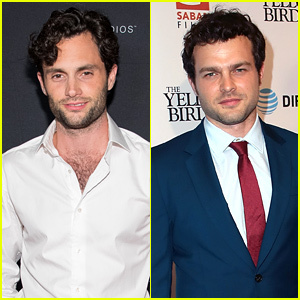 The 38-year-old actor was seen arriving at Cedars-Sinai Medical Center in Los Angeles on Wednesday (July 25), where his 25-year-old ex is currently undergoing treatment after a reported overdose. Wilmer was spotted arriving around 3 P.M. and stayed for over two hours. “He was somber and quiet and you could tell he was in a very serious mood. He arrived and left by himself,” a source told E! News. He seemed “very down” according to the report. 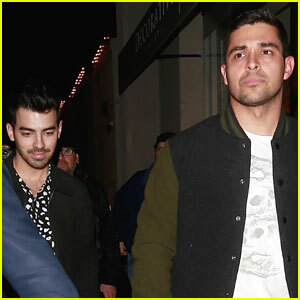 Wilmer is the first known star to visit Demi at the hospital, although many have voiced their support on social media. Her family is also by her side. Demi Lovato was seen out for lunch with ex Wilmer Valderamma over the weekend at Sol y Luna in Tarzana, Calif. The duo, who have remained friends over the last couple of years, enjoyed fresh guacamole, which was made for them right at the table, and were super friendly with each other, TMZ reports. Demi and Wilmer split in 2016 after dating for six years. In Demi‘s Simply Complicated documentary, she talked about their break-up and said she wouldn’t rule out the possibility of them getting back together in the future. To see a photo of Demi Lovato and Wilmer Valderrama out to lunch together, head over to TMZ.com! FYI: Joe is wearing an AllSaints shirt. Vanessa Hudgens totally slayed at the opening night of Halloween Horror Nights! The High School Musical alum hit the red carpet at the Universal Studios Hollywood event on Friday (September 15) in Universal City, Calif.
She went goth chic with her “Frankenhooker” t-shirt, red-trimmed tights, and chunky boots, giving off total ’90s vibes with her black choker and beanie. Vanessa completed her look with a black sweater tied around her waist, long black nails, and a pop of red eyeshadow. She was joined by Ruby Modine, Israel Broussard, Wilmer Valderrama, Mason Cook, Lindsay Arnold, Frank Grillo, Jordan Fisher, and It‘s Wyatt Oleff and Chosen Jacobs. If you didn’t know, Vanessa is a huge Halloween fan – last year, she filled her Instagram with inspiration images for the spooky holiday. We can’t wait to see what else she has in store this year! Joe Jonas hams it up for the camera while aboard a boat on Friday (July 7) in Miami Beach, Fla. 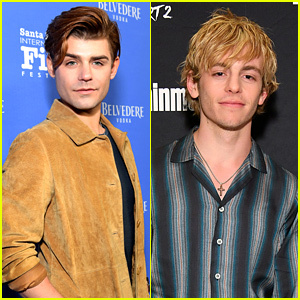 The DNCE front man was joined for the outing by band mates Cole Whittle and Jack Lawless, as well as Wilmer Valderrama, Hailey Baldwin, and more. The next day, the guys of DNCE headed off to Wisconsin to perform at Summerfest. In case you missed it, the band was recently announced as brand ambassadors for K�Swiss. They released a new tennis themed campaign and will also get to design their own shoe, which will be released year. It’s no surprise Rowan Blanchard just won the Youth Humanitarian Award at the 2017 Children Mending Hearts’ Empathy Rocks event on Sunday (June 11) in Bel Air, Calif. The 15-year-old actress and activist is such a powerful, inspiring voice and really, it has nothing to do with her age. Also in attendance were Holland Roden (who took home the Global Humanitarian Award) Carter Jenkins, Georgie Flores, and Lizzy Greene.